Sanderlings need clean water, too. I live in one of the older neighborhoods of Duluth, and my house was the first built on our block, sometime between 1900 and 1910, long before Peabody Street was paved, so it’s set closer to the road than any other house on the block. The water and sewage lines in my neighborhood are quite old, and little by little have been needing to be patched up and even replaced. A few years after we moved in, Russ noticed that our water lines were lead—it cost us thousands of dollars to replace them at a time when we were just starting out, but it would have been even more had our house been set further back like the other houses. In Duluth, lead can be found in the joints of the old cast-iron water mains that still serve much of the city, and Duluth has just shy of 2,000 lead pipes connecting mains to curbside valves — about 7 percent of its total connections. On top of that, the city has a large number of older homes like ours with lead service lines or lead-laden plumbing. Fortunately, Duluth draws water out of Lake Superior, not the Flint River, so the water isn’t leaching all that much lead out of people’s pipes into their drinking water. A few weeks ago, a valve down the block suddenly quit, and the city had to turn our water off for several hours as they put in a new one. While they were working on it, they discovered that the valve right across the street from us was also reaching the end of its life, and so a week or so later, they had to turn off our water again to fix it. They gave us plenty of warning both times so we could time showers for before or after and fill water bottles and the bathtub beforehand, and both times the water was turned back on ahead of schedule. We suffered the bare minimum of inconvenience and our taps were running again with Lake Superior’s wondrously clean water. Well, it’s pretty darned clean. The entire Duluth water system’s infrastructure is slowly crumbling, and not just the pipes that carry the water to our homes. We had heavy rains in March—2.7 inches fell on March 15 and 16, the largest March rainfall on record here, and 5.7 million gallons of wastewater, including untreated sewage, flowed into the lake. The 12.5 million gallons of backup storage tanks that are usually empty were filled to capacity with runoff from storm sewers, overflowing at four centers including one at WLSSD. Duluth had just added capacity after our last overflow incident in the July 2012 flood, which normally would have been plenty, but the rains fell on already saturated soil. David Montgomery, Duluth's chief administrative officer, was quoted in the Duluth News-Tribune warning that with changing weather patterns due to climate change, these 150-year events could be happening much more frequently. 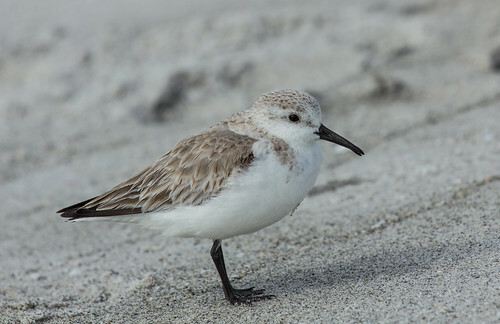 I got horribly sick in the 1990s when I was rehabbing and ended up with four sanderlings that had become sick after one of these sewage events. We Americans expect to be able to walk to any sink or tub, turn a faucet, and have clean running water. The city water in Duluth is remarkably clean despite people’s lead pipes and the occasional sewage overflows, especially compared to water in other cities, but we can’t count on it lasting forever unless we are proactive. Ever since the 1980s, Americans have been acting like a family that purchases a house way beyond their means and is both falling behind on the payments and not bothering with proper maintenance. I’m bewildered how we as a nation could have lowered taxes, especially on households earning more than $200,000 a year, at the same time that we’re falling further and further behind on basic infrastructure. People in Flint have been drinking toxic water since April 2014—many children there have suffered irreparable damage to their brains. The water lines in the most damaged neighborhoods were built between 1901 and 1920, exactly when my neighborhood was built. Once the lead-infused water of Flint is flushed or washed down the drain, that water ends up flowing into the sewage system, which can clean up a lot of basic filth from household wastewater but can’t do much at all about lead, which eventually pollutes natural water. Yet somehow politicians still endure when their entire platform is to “shrink government and drown it in the bathtub.” Even that bathtub requires a functioning public water system. Every one of us humans and all the birds and other wildlife that drink from our lakes and rivers depend on clean water for our health and wellbeing. Any politician who doesn’t grasp that elemental fact should not be in office.